The race for the final Champions League spot in Serie A took another twist this weekend. AC Milan visited the Allianz Stadium to face Juventus and took an early lead through Krzysztof Piątek only to collapse and lose 2-1. In the knowledge that one of their rivals for the top four had been beaten, Lazio, Atalanta and Roma saw this as an opportunity to take advantage. Roma did their part beating Sampdoria, whilst Lazio were held at home to Sassuolo. 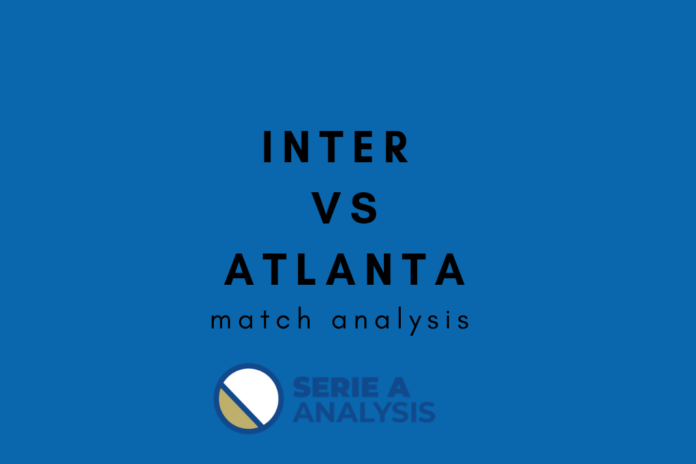 The most intriguing of the games that had implications on the top four, however, was Inter vs Atalanta on Sunday evening. A win for Inter would further cement their place in next season’s Champions League. A win for Atalanta would put them in a position of power and qualification for the Champions League would be in their hands. What followed was an intriguing tactical battle, which eventually fizzled out as both teams seemed content with avoiding defeat. In our tactical analysis, we will look at the different game plans of each side. In particular, we will look at how these two teams attempted to break each other down and take an important three points from the encounter. Next articleWill Ajax take advantage of Juve’s defensive switch?